This is the perfect trick to learn or hone your skills with the paddle move. It's simple, and would be enjoyable for both kids and adults. 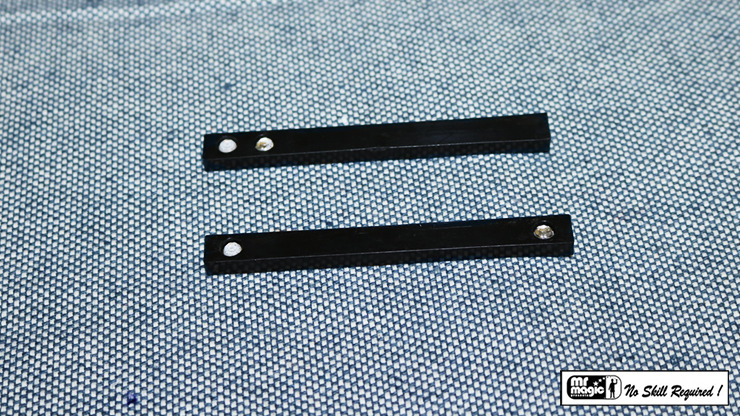 Show a plain black plastic stick. With a quick motion, a glittering gem appears on the front side, while the back is still blank. With another wave, another gem appears on the back as well. Now the stick has two gems -- one on one side and one on the opposite side. Pass the stick through your closed fist and another gem appears on the opposite side of the stick. Now the stick has four gems. One at each end of both sides. Slide one gem from one end to the other. Now there are two gems at one end of the stick on each side. For the last time, place the stick through your fist, only to make all of the gems disappear.